With the end of the school year in sight, we’re now in the heart of prom season. Many may be surprised to learn that the average cost of attending a prom today is upwards of $500. This means that thousands of soon-to-be high-school graduates across the country won’t attend their formal this year because they simply cannot afford the price tag. For all the critics out there, it’s important to understand the significance of this experience for young people today. For many, prom is considered a rite of passage. After close to 15 years of school, prom not only marks the end of secondary school, but an opportunity to celebrate this milestone with friends. For many teens who choose to forgo college or university, high school will mark the end of their formal education. Prom can be one of the most significant events in a young person’s life. Fortunately there are options for deserving students to ensure this significant moment in time is celebrated. There are many non-profit organizations across Canada dedicated to assisting young people to “even the playing field”. These groups rally their local communities, including individuals, retailers and corporations, to volunteer their time and to donate merchandise and funds. 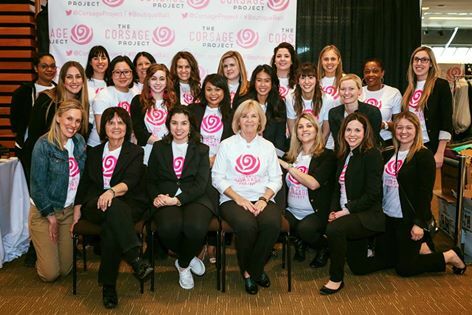 I am very proud to be associated with one of these special groups – the Corsage Project. 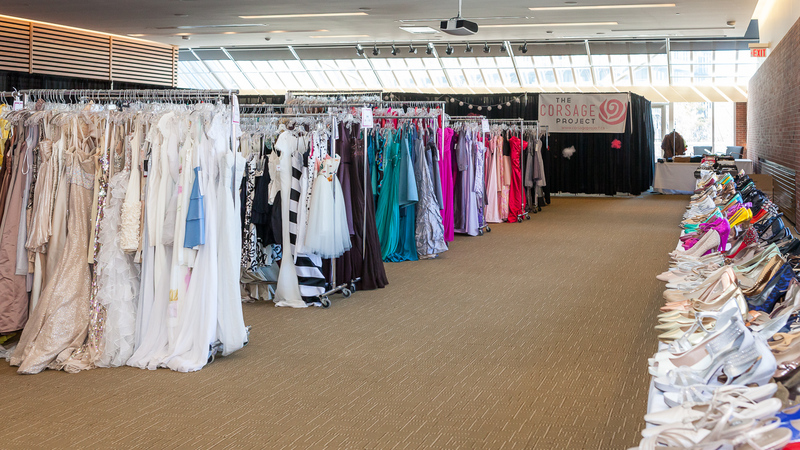 Now entering it’s sweet 16 year, the Toronto-based Corsage Project, in partnership with the Children’s Aid Foundation, hosts an annual Boutique Ball where 300 economically disadvantaged young women come to shop for prom attire – free of charge. The event has been described as an experience of a lifetime that helps to instill confidence and pride in those who attend. This event is the culmination of many people working together. The boutique ball takes place annually in April, coinciding with National Volunt eer Month. The Corsage Project has upwards of 500 volunteers that come together to make this experience possible. Thanks to the help of generous sponsors, the Corsage Project is working to level the playing field not just for prom, but for education as well. One of our more recent core initiatives is the scholarship program for participants continuing their studies at the college or university level. The promise of prom and the ability to attend can make a memorable impact on a young person’s life. I have witnessed this personally with my own eyes. It provides students with the knowledge that their community cares about them, and inspires many to volunteer and give back to society in a meaningful way. Joanne Sallay is a Director at Teachers on Call, a personalized home tutoring service with over 30 years of experience, providing one-on-one instruction in all subjects and grades. In addition to regularly blogging about educational news, learning strategies and the latest in student books, Joanne is a busy new mom and Co-Chair of the Corsage Project, a non-profit organization in partnership with the Children’s Aid Foundation.